MLB Rumors 2015: Dodgers, Yankees Active In Offseason; David Price To Red Sox? With the Winter Meetings fast approaching, MLB offseason rumors are heating up. All of the top free agents are still available, but that won’t be the case for much longer as teams prepare to make contract offers. There could be more money given to this year’s top free agents than in any offseason in recent memory, and teams from the biggest markets are once again among the favorites to sign the best players available. The Los Angeles Dodgers and Boston Red Sox have been linked to a few of the top free agents, while the New York Yankees might make a splash with a trade. Who are the Yankees, Red Sox and Dodgers going after this offseason? The Yankees are looking to improve a roster that wasn’t able to reach the ALDS this past season, but they can’t simply do it through free agency with five players already on the team set to make at least $20 million in 2016. The Yankees have discussed potential trades with multiple teams, and they are reportedly listening to offers for a few of their best players. The Houston Astros have spoken to the Yankees about acquiring Andrew Miller, according to ESPN’s Jayson Stark. New York is reportedly willing to listen to offers for the closer, who was dominant last season with 100 strikeouts and a 2.04 ERA in 61.2 innings. Set-up man Dellin Betances was even better, though, and the Yankees might be willing to trade Miller in order to free up some more room for free agency. Betances would move into the closer’s role, having struck out 236 batters in 174 innings since 2014. Brett Gardner could also be moved, since the outfielder struggled after the All-Star break and is owed nearly $40 million over the next three years. New York reportedly had trade discussions with the Seattle Mariners, but a deal isn’t likely to get done. Robinson Cano left New York for Seattle to sign a $240-million contract two years ago, but the move hasn’t worked out for the second baseman or the Mariners. The team has missed the playoff in both seasons, and the New York Daily News reports that Cano would like to return to the Yankees. Last offseason, the Red Sox signed the top two hitters available. Now that Boston’s pitching is their greatest weakness, the team could add the No.1 free agent pitcher. Boston has been linked to both David Price and Zack Greinke, as both pitchers could be headed to new teams this offseason. The Chicago Cubs have been viewed by many as the favorites to sign Price, but one insider believes Boston will get the starter that helped the Toronto Blue Jays snap the longest playoff drought in baseball. "I believe David Price is going to Boston. Dave Dombrowski is all in,” Sports Illustrated's Tom Verducci said Monday afternoon on MLB Network. Dombrowski, Boston’s new president of baseball operations, would have to give out the biggest contract of the offseason in order to sign Price. The left-hander seems almost guaranteed to get a deal worth at least $200 million. Dombrowski acquired Price in 2014 when he was with the Detroit Tigers, only to trade him a year later. Price went 9-1 with a 2.30 ERA in the regular season with the Blue Jays, though he had a 6.17 ERA in the playoffs. NL Cy Young runner-up Zack Greinke opted out of his contract this offseason, and the veteran starter will likely get a deal upwards of $150 million in free agency. A few teams are pursuing MLB’s ERA leader, and the Dodgers have begun looking for his potential replacement. Los Angeles might not sign Price or Greinke, but they could end up with the next best thing. 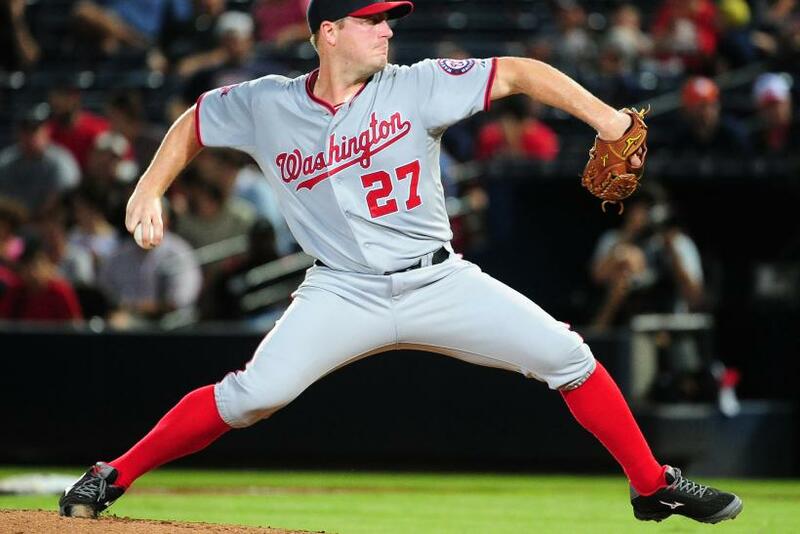 According to USA Today, Jordan Zimmerman is one of the Dodgers’ top targets. Zimmerman will probably earn a nine-figure contract, but nothing close to what Price or Greinke are expected to receive. At 29 years old, Zimmerman is one year younger than Price and three years Greinke’s junior. He went 13-10 with a 3.66 ERA last season, and he has a 3.32 career ERA. The Dodgers may have no choice but to find starting-rotation alternatives as other teams pursue Greinke. According to Jon Heyman of CBS Sports, the San Francisco Giants are a real threat to sign Greinke. San Francisco has been linked to a few of the top free agents, and the NL West contenders are reportedly making pitching their top priority. But just because other teams are looking to sign Greinke and the Dodgers are exploring other options, that doesn’t mean L.A. has moved on. The Dodgers might have as good of a chance as any team to sign Greinke, who’s had the best three-year stint of his career with Los Angeles. The Dodgers' front office is also reportedly interested in signing closer Aroldis Chapman. The hard-throwing southpaw posted a 2.17 ERA in six career seasons with the Cincinnati Reds, including a 1.63 ERA with 33 saves in 2015.